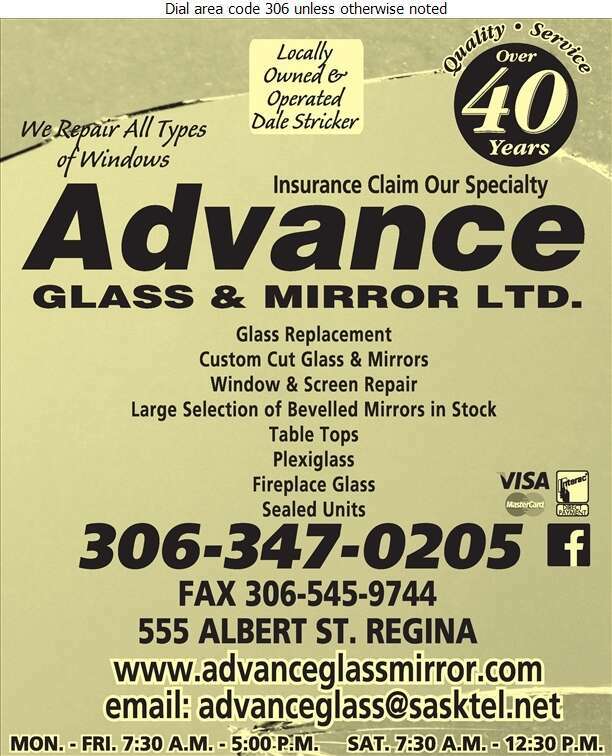 Advance Glass & Mirror Ltd. has been providing Regina with quality service for 30 years. 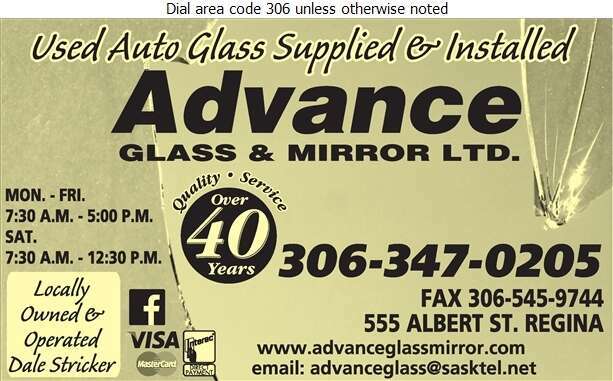 At Advance, we specialize in glass, windshield and auto glass replacement, repair and installation. We welcome all SGI and insurance claims. Take advantage of our mobile service, service while you wait or ride to work options. Advance Glass & Mirror Ltd. offers a lifetime guarantee on all installations. Visit us at 555 Albert Street or give us a call at 306-949-4919. Free estimates available.